Are you ready to pay for Cobb County’s $1 BILLION boondoggle? 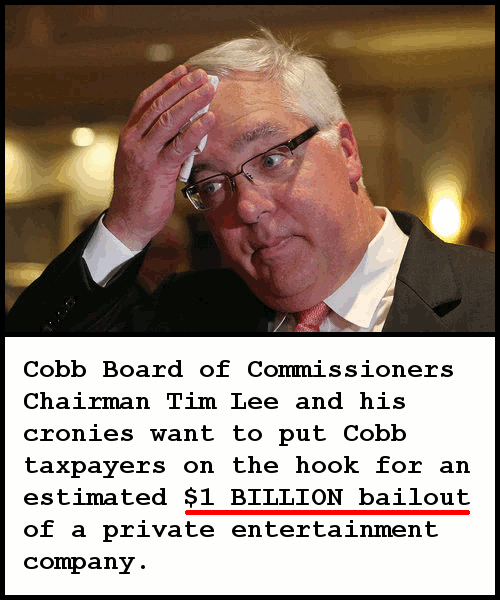 As you know, your Cobb County Board of Commissioners (BoC) rammed through a Braves stadium boondoggle late last year that (we then thought) would put taxpayers on the hook for a “$300 MILLION” bailout. Despite Commissioner Tim Lee’s public claims that the project would “only” take $300 MILLION from taxpayers, in reality the price tag was estimated to actually be closer to $1 BILLION according to Planning Commissioner Galt Porter! It is outrageous for government to take money from taxpayers and then turn around and hand it to a private, politically well connected, multi-billion dollar entertainment company — don’t you agree? Representative David Ralston hasn’t been truthful with voters. Representative Mike Jacobs hasn’t been truthful with voters. 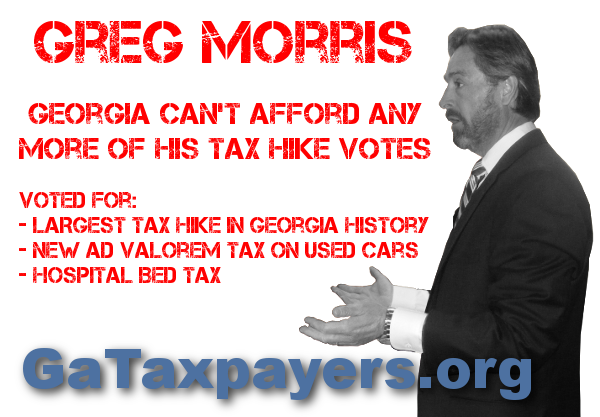 Even though he campaigns as a Republican, he’s been voting to raise taxes at the State Capitol in Atlanta for years.